Published Oct. 2, 2013; updated April 19, 2018. Professor Sakai retired in 2017. 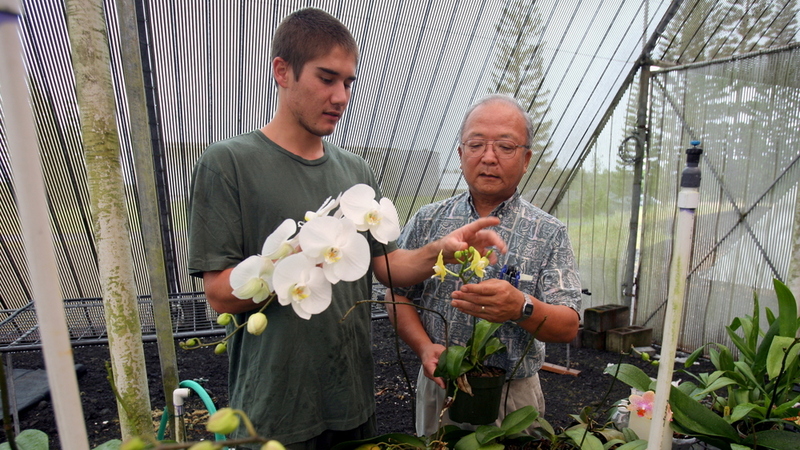 Photo above: Professor Sakai (right) and student examine orchids at the UH Hilo Agricultural Farm Lab in Pana‘ewa. Photo by William Ing. Professor Sakai researched biofuels and salinity, and Hawai‘i P-20 agricultural education. His research in aroids, the plants of the arum family (Araceae) of which taro is a member, continued throughout his career. 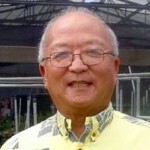 William S. “Bill” Sakai is a professor of horticulture at the University of Hawai‘i at Hilo. His research interests are in local biofuel stock and sustainable taro production in Pacific areas of high salinity. 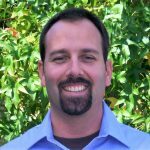 He also works on Hawai‘i P-20 agricultural education. Sakai’s published research began in 1972 with a study of Xanthosoma sagittifolium, or elephant ear, that produces an edible, starchy tuber similar to taro. His interest and research in aroids, the plants of the arum family (Araceae) of which taro is a member, has continued throughout his career. 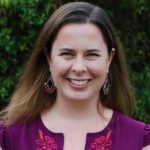 Sakai worked on a U.S. Department of Agriculture funded study on sustainable giant taro production under high salinity in the Pacific. High salinity in agricultural water can reduce crop yields, limit choice of crops, and render land unsuitable for agriculture. The mean height above sea level for many of these islands and atolls is two meters, says Sakai, so the immediate concern is sea water contamination of the freshwater lens, which is 0.3 to three meters from the surface of the soil. The major aroid root crop that is grown in the freshwater lagoon swamps, or in pits dug to the freshwater lens on the islands, is the giant swamp taro, Cyrtosperma. Taro, Colocasia, is also grown on these atolls and islands. Sakai and his research team worked on developing a model of artificially elevated lo‘i (irrigated terraces) to grow taro at UH Hilo’s agricultural farm lab. In the area of biofuels, Sakai’s project with a team of researchers funded by the U.S. Department of Agriculture has shown an estimated current biomass of albizia (Falcatatia moluccana) trees in the Hilo-Puna area at one million metric tonnes. Other collaborative research has shown that albizzia wood and leaves are excellent feed stocks for anaerobic digestion and production of methane gas. 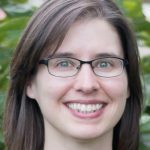 “Pretreatment of the albizzia feedstock with a white mold is expected to increase methane production by breaking down the hard woody lignin and hemicellulose as well as the cellulose,” says Sakai. 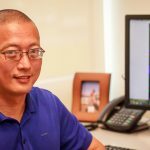 Colleagues of Sakai’s at UH Hilo’s Pacific Basin Aquaculture and Research Center have shown that sugar from the pretreatment of feedstock or other sugar containing feedstock like waste papaya also have the potential to be converted into triglycerides, a major component of plant oils. 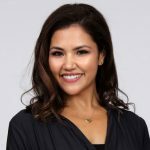 “Triglycerides have three long chain fatty acids, 16-plus carbon atoms, that can be easily converted into fuel,” says Sakai. Sakai conducted research on bio-mineralization of the light blue flower ornamental, Plumbago capensis, native to the black deserts of Africa. Other studies on ornamentals common to the Hawai‘i marketplace have included growth regulators of dendrobium orchids, use of day-length to control flowering of heliconia, experimenting with cool temperatures to increase production of the cut flower alstroemeria, using growth regulators to increase germination rate of palm seed, studying uv-light effect on the flower color of oncidium orchids, and leaf coloration of red lettuce. Sakai also studied the silicon deposition in the epidermis of sugarcane and the nutrient absorbing leaf hairs of pineapple. In the area of P-20 agricultural education, Sakai worked on a UH education, training and incubator project funded by the USDA, Natural Institute of Food and Agriculture, and the Alaska Native-Serving and Native Hawaiian-Serving Institutions Education Competitive Grant Program. Sakai says it is probably the only grant shared with all the UH community colleges, Maui College, UH Mānoa, and UH Hilo. Two goals of the project were to increase the agricultural food science workforce capacity at post-secondary level and to increase knowledge and interest in agriculture and nutrition at the K-12 level. During the 2012-2013 program, 2,300 K-6 students from Hilo Union, Kea‘au, and Ha‘aheo elementary schools, Kanu o ka ‘Āina charter school, St. Joseph School, and Hawai‘i County Summer Fun, grew three varieties of hydroponic lettuce, which they shared with family and the community. The budding agriculturalists were mentored by 55 college students, mostly freshman UH Hilo agriculture students, and 16 Hilo High School Lanakila Program students. In 1991, Prof. Sakai received the UH Hilo Chancellor’s Award for Excellence in Research and Scholarly Activities, and in 1993 he received the UH Board of Regents Award for Excellence in Teaching. William Sakai received his master of science in botany from the University of Michigan and his doctor of philosophy in botany from UH Mānoa.